Search engines use a variety of complex algorithms and variables to determine who wants to see what and how each web page on the internet should be ranked and classified. 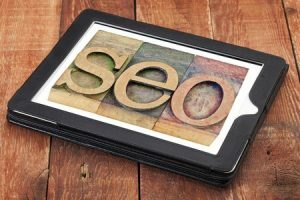 This can be overwhelming and confusing to webmasters at first, but the nature of SEO – when broken down into individual components – makes it a lot easier to understand. Title tags are just one element of SEO, and can be used to more effectively promote your web pages in search engines. Knowing how to use title tags and how to ensure they are optimized are important elements of any SEO effort; we’ll lay out five easy steps today to ensure that your content is being seen by search engines and users alike. Title tags are unique elements that can help search engines identify your web pages and rank them accordingly. As such, it is never a good idea to use duplicate title tags across multiple pages. Even Google itself has recommended that each title tag used on your website be completely unique. While it can be a challenge to think of unique title tags for each page, the effort is well-worth it. You don’t want to be pinging servers with duplicate title tags that could cause search engines to see your content as being duplicated. Keywords are another huge component of SEO and help search engines more accurately classify content. You no doubt have several keywords and phrases that you are using in each piece of content on your website. When it comes to title tags, the inclusion of keywords is absolutely essential. Not only do you want to be sure to use keywords in your title tags, but it is ideal for the keyword to be the first part of each title tag. This will prioritize the keyword’s weight in the overall title tag and can help your website to rank better. Some people believe that loose variations of keywords will work just as well for SEO purposes. While in some cases (specifically with content) this can be true, it does not ring true for title tags. You want to be sure to use the exact keyword you’re targeting on a given page in your title tag. This will help augment the power that the keyword has in search engine algorithms and more adequately explain to search engines what your content contains. Title tags may be short, but you can fit everything you need into them. One of those things that needs to be included is your brand name. You may have already noticed that many websites include their brand name at the end of each title tag. There is a reason for this. By including your brand in each title tag, you are further signaling to search engines who you are and how your broader website and domain should be viewed by them.